Three crucial benefits of STEM learning that you must know are bridging the gap between gender and race inequality in STEM-related fields, statistics in everyday life, and cognitive flexibility. STEM learning works best when introduced as early as possible in life in order to gain STEM fluency. You’ll know how and why these 3 very important benefits will help your child advance in the real world. STEM learning inspires, entertains and teaches skills that will develop kids to be well-rounded individuals that will inspire the right type of change for our future. The basis of STEM-based concepts is the three C’s. It’s the development and use of curiosity, creativity, collaboration, and critical thinking. These traits are in high demand in the workforce, especially with the growth of technology in virtually every field. These skills are innate in young children too. The most important thing to remember is, children need STEM immersion as early as possible to gain STEM fluency. It’s important for our children to have various opportunities in different settings to really understand, develop, and use STEM knowledge. Learning at home and after school is one of the best ways to foster development. It also promotes quality time together and has the ability to teach independence if you’re a busy mom like me. That’s why I’m so passionate about STEM and providing STEM-certified toys for our little ones. Statistics – Understanding probability and error rates, concepts that cut across almost any type of problem you want to solve in STEM. Flexibility – Cognitive flexibility is required for your child to have stronger cognitive skills. Bridges the Gender and Race Gap – STEM learning doesn’t discriminate and will inspire any child to choose a career they’re passionate about without worrying about fitting in. A deep understanding of statistics means understanding probability and error rates, concepts that cut across almost any type of problem you want to solve in STEM. Statistics helps determine how we will live 5,10, 50 years from now. For example, it helps us identify why we are experiencing global warming faster. Plus, making educated decisions can save cities from crumbling, save animals from going extinct, and helps us predict how to preserve what we do want in the future. Making things more effective for use is another plus to understanding and using statistics. We use it every day and don’t even realize it. Predicting how long you’ll need to cook something and adding a new ingredient involves a bit of guesswork based on your preparations the previous time if you don’t Google it (easier said than done). STEM learning encourages probability and error rates without even realizing it. Let’s say they’re building a bridge using a cardboard box with toy cars to cross. They’ll have to feel the weight of the car and how strong or stiff the box is, after review, will it pass? Will it need a structure under to hold up? Where should the structure be placed under the bridge? These are all questions they ask themselves as they try to avoid error or the cardboard bridge from breaking. Math is introduced and taught as children separate and sort toys by color, size, in patterned numbers and so forth. Using puzzles, dinosaurs, cars, or even fruit can make it more interesting and fun. Taking it a step further, they can make patterns and use probability to determine how much of one color would be left as compared to another if one is removed from the scenario. STEM learning can be incorporated into many activities as long as it’s encouraging the use of multiple strategies and complex skills throughout the activity. As they get older and use more STEM-based activities, statistics will become more complicated of course. However, capturing the interest of math, particularly statistics earlier on, the easier it will be for them when they are older. Not only that, they’ll enjoy the challenge and the feeling of success as they surpass their classmates with something they truly enjoy. Nonetheless, statistics won’t ever go away and the earlier we introduce it through STEM-based activities and toys, the better a child will want to continue it as they get older. Especially into adulthood, where it counts the most. Flexibility is not a popular skill to have. Most of us like structure, order, and familiarity. However, technology is advancing faster each day. That comes with many changes and challenges. Not only that but, nothing ever works out perfectly every day. If your child has a hard time with change, this is a great opportunity to introduce more STEM learning activities. It’s important to develop a mindset that can adapt quickly to new situations and demands. STEM learning requires your child to understand there is more than one way to solve a problem and another problem may arise right as they’ve thought of a solution. Being flexible to change and flexible in using various solutions will help not only in a professional setting but in their personal life too. There are two facets of cognitive flexibility, flexible thinking and set shifting. Flexible thinking is when children can think about a problem in a new way. Set shifting is when a child is able to let go of an old way of doing something to try a new way. This helps children understand and consider different perspectives and not only think their idea is the only right way. It also helps develop critical thinking and social skills as they question and communicate with others to determine what is truly going to work on solving a problem. Did you know kids who have a weak flexible thinking skill struggle to take on new tasks and it’s difficult for them to solve problems?! STEM learning is all about developing skills and encouraging children to learn, be actively engaged, and solve problems while thinking of new and easier ways to solve that problem. It’s a mix of creative thinking, structured thinking, and flexible thinking. Weak flexible thinking skills can negatively affect reading skills drastically too. They’ll have a hard time pronouncing words and have a tendency to interpret text literally. Math skills require flexible thinking too as they need to shift gears and look at different strategies to solve problems. Some great ways to practice flexible thinking is to bend the rules for a child who is rigid in thinking. They’ll have a hard time at first, but it gets easier. Changing routine every once in a while helps children cope with change too. Of course, a routine is important for children to thrive, but small changes help show it’s okay to do something differently. For example, on a weekend, taking a bath in the morning, instead of at night may help open that conversation. 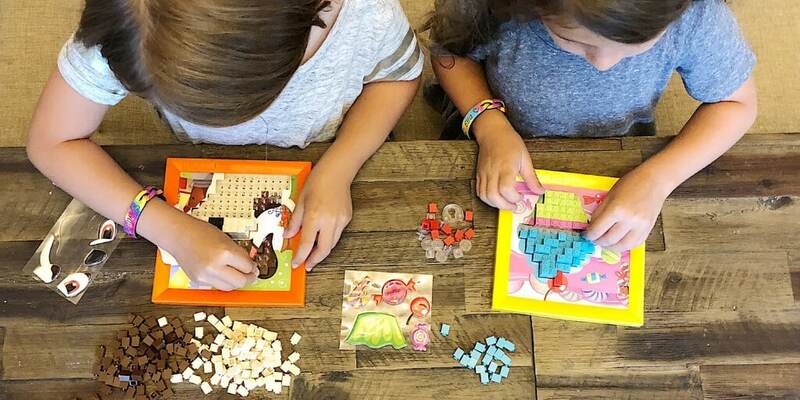 Using the Stack by Numbers STEM-certified toy helps with math skills as your child counts and matches each lock-in-place brick to create a 3-D layered image. You can choose between a dog, spaceship, or cupcake, or a burger. Plus, the baseboard of the puzzle can be used and manipulated in any way for a creative play like block stacking. By providing this option to my daughter, she was able to work on sharpening her flexible thinking, especially as she played with her sister who has different ideas and solutions. A common misconception is that STEM is for naturally gifted kids and that’s certainly not true at all! STEM learning doesn’t discriminate and encourages children at all levels, races, and genders. 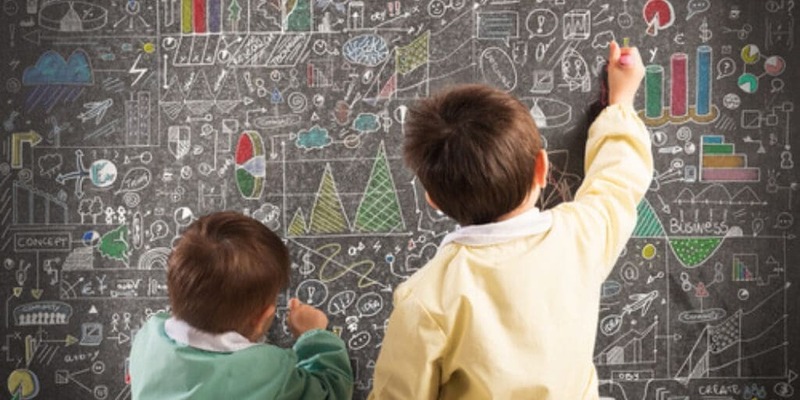 Children will experiment, critically think, problem-solve, and develop emotional intelligence. A well-rounded child is in the making through toys and activities that are based on STEM learning. 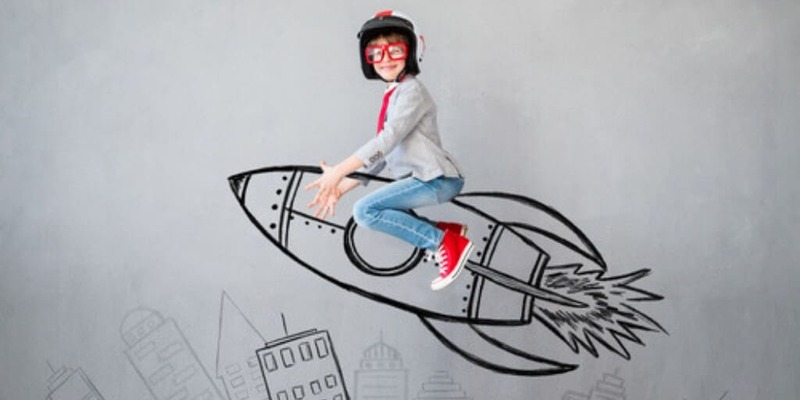 In fact, According to the website Engineering for Kids, by 2020, there will be an increase in women and minorities from 16%-62% in various STEM-related fields. This means your children will have someone to look up to and show them that they can truly achieve anything if they practice and continually challenge themselves. The key is to introduce STEM learning as early as possible, even as a baby and especially at home, not just in school. Children with advanced intelligence and emotional stability continue their education at home as compared to those who learn only at school. As we learn new skills, our brain is creating various pathways or network connections that are mapped out based on the communication needs of the neurons in order for the brain to process this new skill. 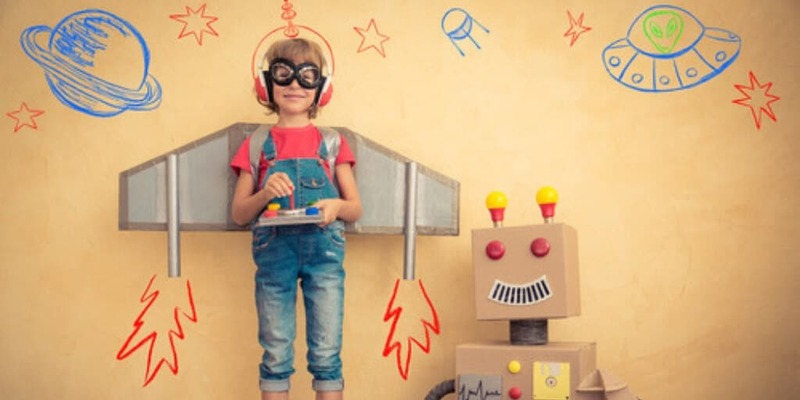 By giving your child STEM learning-based toys they will continually challenge themselves and learn crucial skills allowing them to be dominant in STEM-related fields, which currently is a majority of men. The brain is constantly rewiring itself as it learns something new too. By practicing something and completing it repeatedly, it actually challenges the brain. The brain constantly rewires and creates more efficient ways to communicate. Insuiniating proper development and even advanced development through proper STEM learning techniques. All children are born scientists and need our support so that it can expand their STEM skills before their brain gets comfortable using a specific pathway and has a harder time with change. Once that happens, it makes it harder for them to want to develop these skills later on in life. They want to learn and we shouldn’t curb that hunger otherwise it is detrimental to their future. I’ve found through research that if a child isn’t prepared for kindergarten, it will follow them throughout their schooling if there is no further implementation of STEM-based learning. For example, STEM and language learning have very close ties. The more exposure to spatial language during block play in infancy and early childhood, it increases your child’s spatial abilities when they’re older. Another barrier that needs to be addressed is the lack of confidence for girls and underrepresented races in STEM fields. Research has shown when they’re in constant competition, they may feel overwhelmed and “not good enough” even before they’ve tried. By showing girls and underrepresented races they can interact next to, not in competition with others during block and puzzle play or pushing them to solve problems during group experiments, they start to entertain and believe that can reach success in a STEM field. Eventually, proving to themselves they’re just as worthy and should choose whatever path they see fit based on their passion and capabilities, not based on the majority that represents that field. 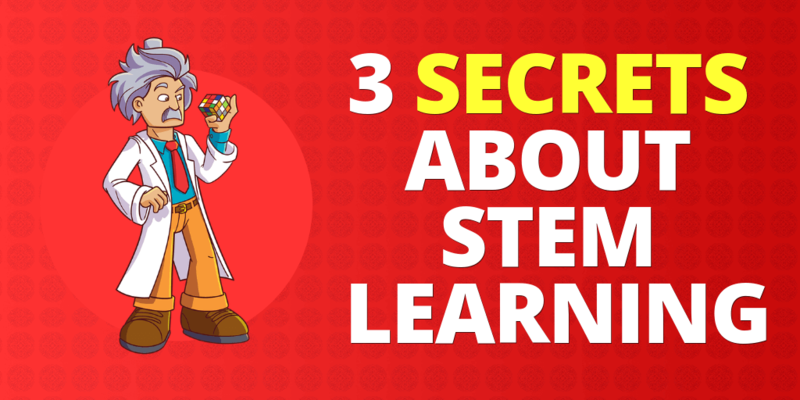 Now that we’ve figured out these 3 secret benefits to STEM learning, don’t forget the earlier your kiddo has STEM-based activities, the better off they’ll be. The earlier STEM learning is introduced, the higher the chances your child will develop skills and carry the passion with them into their future. STEM get’s harder to love as children get older. According to the National Center for STEM Elementary Education at St. Catherine University, the executive director wrote that research has shown a third of students have already lost interest in science by the fourth grade. Nearly half have “lost interest or deemed it irrelevant to their education or future plans” by the eighth grade. That’s a scary result as millions of jobs in the future are projected to be STEM-based. STEM learning starts as early as under one year and it starts at home. That means you have the opportunity to provide your child with STEM-based toys. 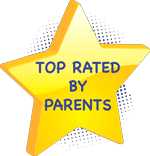 Not all toys are stem-certified either and that’s just as important when choosing the right types of toys your child’s needs at any stage of development. BrickMates toys aren’t created based on gender, they’re designed for any child who likes to be challenged, creative, and likes colorful spaceships, cupcakes, dogs, and delicious burgers.